The internet is a big place and there are a lot of ways that you can be at risk from hacking, phishing scams and viruses. It is important to take security steps now rather than face the consequences later on. A good way to stay safe from scams and people accessing your private information is to have personalized login details and strong passwords, as well as clearing your private data from web browsers so they aren’t stored. Having your screen lock after a certain period of time is also a great tactic to keep your computer safe when you are in public spaces. 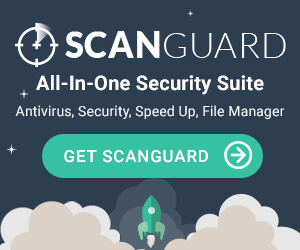 Your computer firewall and antivirus software is going to be your best friend when you are on the Internet, as well as making sure you only download files from reputable sources. In addition, securing your home Wi-Fi network will stop any outside intrusion and anyone accessing your network and personal information. Backing up your files regularly to a cloud or external hard disk is going to be a lifesaver to restore everything back to the way it was if you have a problem. Installing GPS tracking software can also show the location of your devices when there has been physical theft.